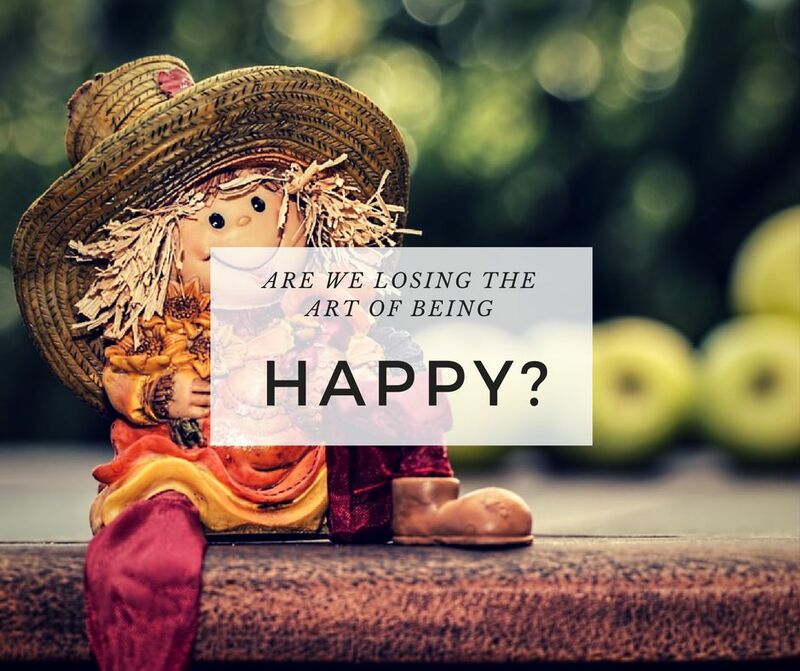 How to recollect the lost art of being happy? Have you ever noticed that, its easier to make a Kid happy rather than an adult. Why with age, we adds complexity to our modes of happiness? We lose the art of being happy. Being adults, small things no more make us happy. While Kid's eyes gloom in awe looking at a flower or fluttering of a bird, we adults ignore these moments and take these things for granted. This art of being happy can be re-collected by being more mindful, by expressing gratitude and by unplugging ourselves. When we have what we need, why are we still not happy? Our love for labels has programmed our minds to relate our happiness with brands. We started tagging brands with our image. We want the world to know us by the brands we use. Be known for who you are, what you do and not what you wear. How much of your day time, do you spend around Nature or Outdoors? You don’t have to go far to find the beauty of nature, it’s everywhere. You just have to start looking. Richard Ryan, lead author and a professor of psychology at the University of Rochester says "When we feel depleted, the best way to get energized is to connect with nature"
Nature has the power to heal us, to uplift us and to rejuvenate us. The more you smile, the better you'll feel. It's proven! Smile is not only the way to tell the world that you are happy but a proven health booster. Smile is actually contagious. When you smile, you make the world around you, happy. Do you remember the last time you spent your time doing nothing? We are so much into this ever-busy habit that we can't sit idle, doing nothing, away from our devices. Relax and enjoy the nothingness, use this time to melt away the stress and make yourself more productive. Facebook Likes, Online Gaming wins, Number of followers - We are counting these on our happiness scale. We have lost the art of collecting real happiness; which lies in relationships, helping someone and being thankful. It does not come and go like Virtual happiness. It resides in your heart, take care of your health and helps you live Life to your full potential. Here's to a healthy you! Hey Vebs, thanks for your kind comment. My Toddler is my inspiration these days. Hands smeared with paint, Sitting with me to play and rolling Chapatis make him happy. They tell us happiness does not need big reasons. Thanks for connecting. Last summer it was so hot I didn't spend that much time outside and I really missed it!! Hey Vanessa, Thanks for visiting my Blog. Spending time outdoors is my favorite thing too and i really feel bad if we fail to go out on any weekend. Couldn't find your Blog link? I completely agree. Today, everyone around is just engrossed in numbers and then gadgets. We have forgotten to be happy with small things, forgotten how magical it is to play with your child, forgotten how peaceful it is to just sit in the garden and observe nature, we have forgotten to live naturally. I really hope the coming generation realizes this sooner. A lovely post. I so so can relate to it. It felt as if its me who is writing it. Awesome! Like the virtual happiness idea specially.